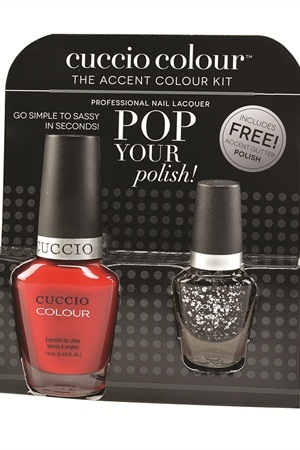 Cuccio Color is playing up accent nails with these new duos that add flare to any manicure. The full size solid polish and complementary mini glitter are available in eight fabulous combinations for a suggested retail price of $8.50. For more information, visit Cuccio Color.